Precision Air can install a new high-efficiency heating system for you that will make your home more comfortable and lower your cost of home ownership. Call us today at 1-844-386-0719 or contact us online to get a free estimate on furnace installation in Nashville, Franklin, Murfreesboro and the nearby areas! Electric space heaters: Quite a few different types of these heaters are available. Portable models are available, as well as models designed to be hardwired and mounted in the wall. Many electric space heaters are equipped with fans to better distribute heated air, and some have adjustable thermostat-based controls. Precision Air can help you get a quality heating system to replace your inefficient electric system. We install a variety of furnaces and we'll help you get the right system for your needs. 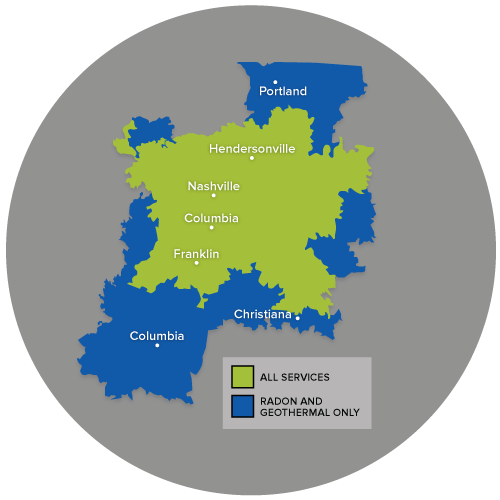 Call us today at 1-844-386-0719 or contact us online to get a free estimate on any of our heating systems in Nashville, Franklin, Murfreesboro, Antioch, Hendersonville, Brentwood, Smyrna, Lascassas, Madison, Hermitage and the surrounding areas.